Along the backcountry roads in the Chehalem Mountains wine region you can discover five hidden wineries whose owner also happens to be a working artist. Within each of these tasting rooms you’ll not only find exquisite wines to enjoy, but wonderful works of art for purchase. If your day includes ambling along, taking in the sights, sounds and tastes of the Willamette Valley then you’ll want to make time for this generous and fun winery loop. This collaboration of wineries produces a lively selection of wines including, Pinot noir, Cabernet, Pinot Gris, Grenache, Rose’, Chardonnay and Sparkling Wine. Visit each winery website to preview the artists’ artwork via their online gallery and to learn more about the artist and winery hours. Pick up a touring card at any of the participating wineries to view loop map and day/hours of operation. Buckle up and get out and taste wine. 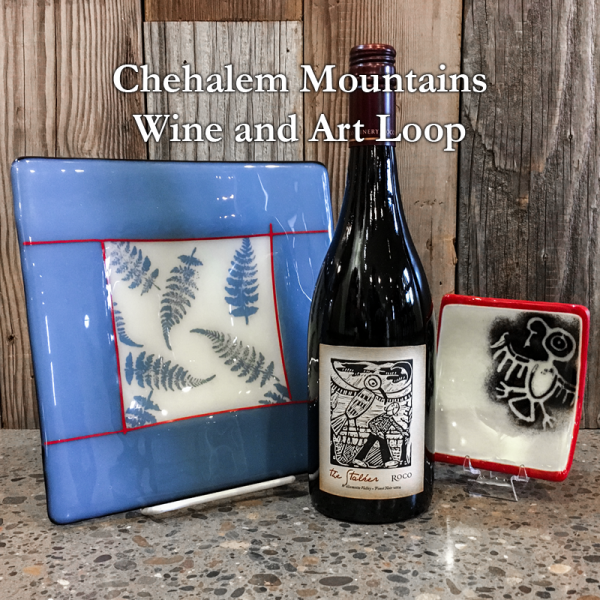 Additional note: 10% of proceeds from art sold May 27-August 23 will benefit the Chehalem Cultural Center, a non-profit art organization in Newberg, OR. Visit these wineries to taste wine and view art, made by the winery owners.